I’ve always worn a watch, I honestly don’t know how people manage that don’t wear one. I always like to know what the time is and I would be lost without one. 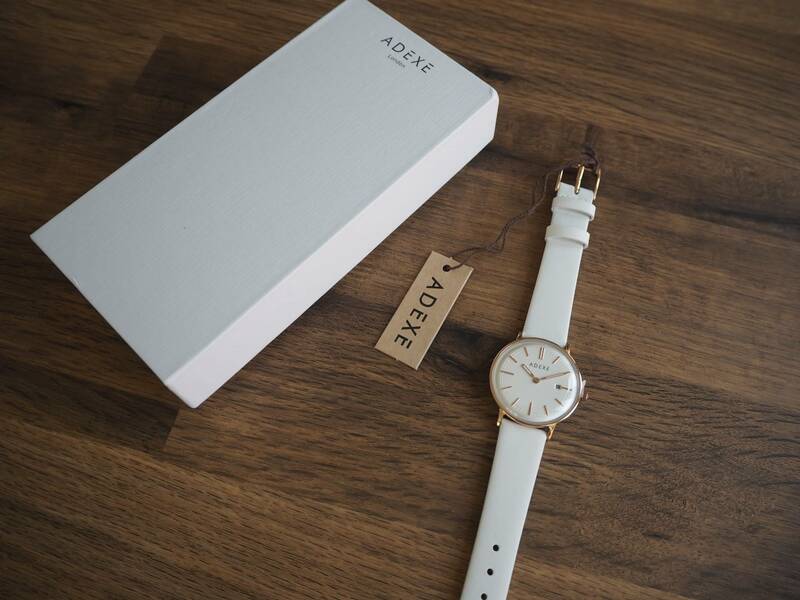 I was recently asked if I would like a new watch from ADEXE, in my opinion you can never have too many watches. I like them to match my outfit! 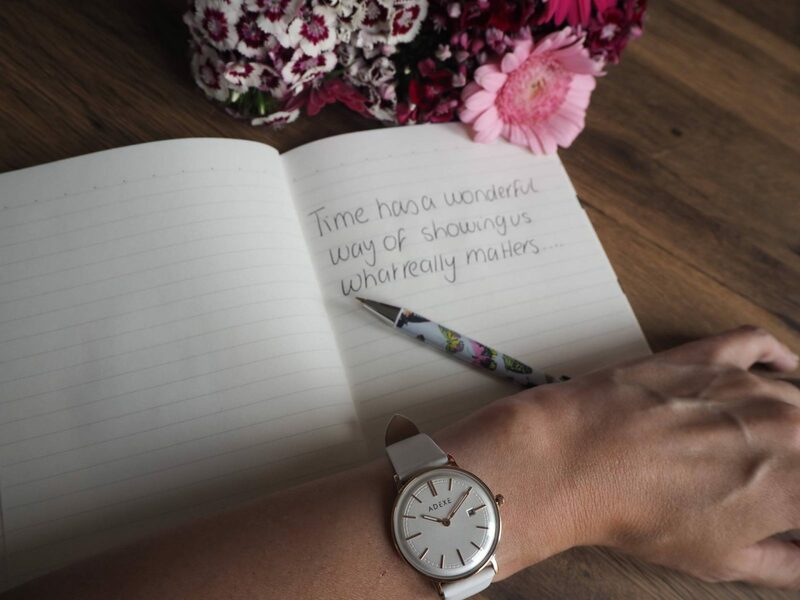 I choose this gorgeous Meek – Petitie Marshmallow watch with a white strap. I don’t think I’ve had a white watch before and I knew that it would go with so many of my outfits. They describe The Meek as, a timeless vintage and understated timepiece and I couldn’t agree more. It has a leather strap, a subtle date indicator and oversized roman numerals. It came in a beautiful box and it would make a wonderful gift to give someone. As soon as I put it on, it was fitted me perfectly and was really comfortable to wear. I don’t like to know I’m wearing a watch if you know what I mean. I don’t want it to make a statement, but to look part of my outfit. Which this does perfectly. Since wearing it I’ve had a lot of people comment on how petite it and that it isn’t oversized on my wrist. I couldn’t agree more, it fits really nicely on my wrist and I love wearing it. 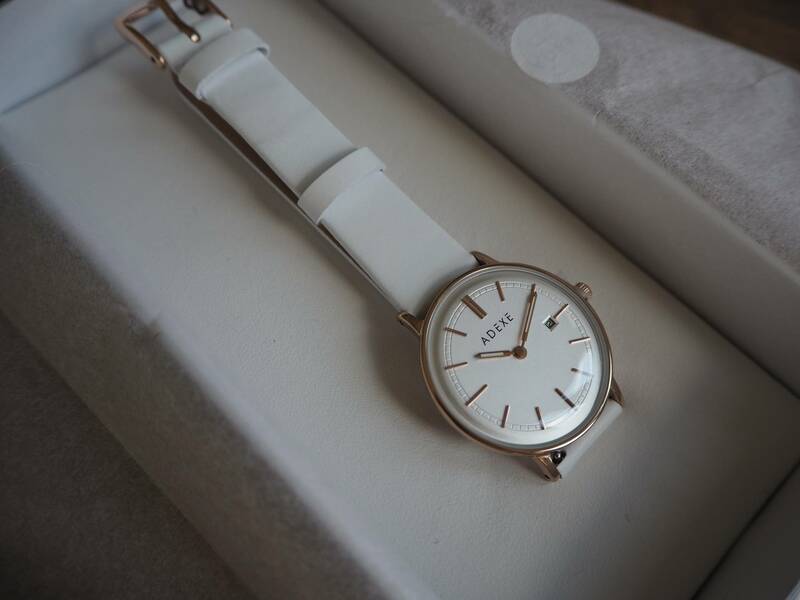 The Meek – Petite Marshmallow watch is priced at £95, which I think is a great price for it. Disclosure: I was kindly sent my watch in return for an honest review. All views, opinions and photos are my own. 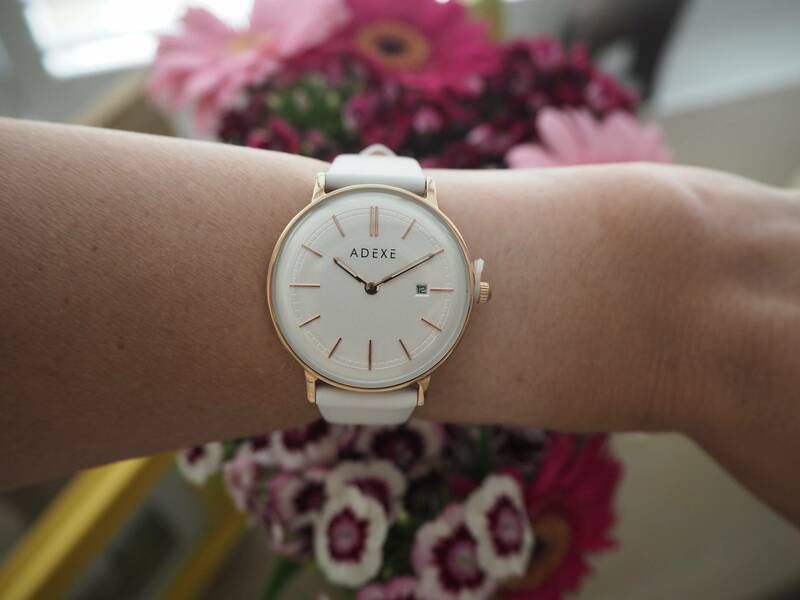 This is a lovely watch, I’m heading over to your Twitter to enter too!